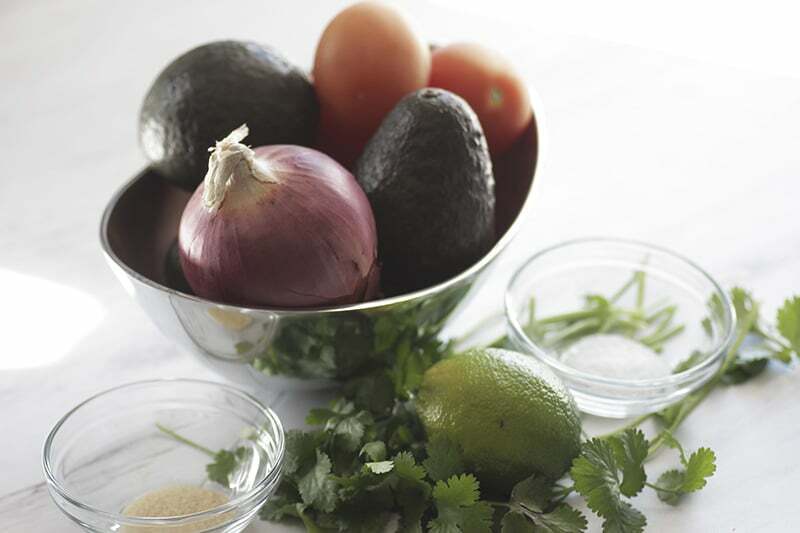 Five main ingredients for this simple & easy guacamole. It’s taco Taco Tuesday again y’all!! So it’s only fitting that I serve up something today that every taco and taco receipt desperately needs. After you make this, you will no longer want that store-bought stuff! 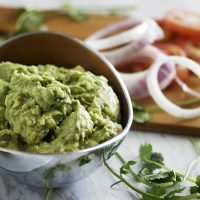 This simple and easy guacamole recipe is not only quick but it tastes amazing g with only a few ingredients. 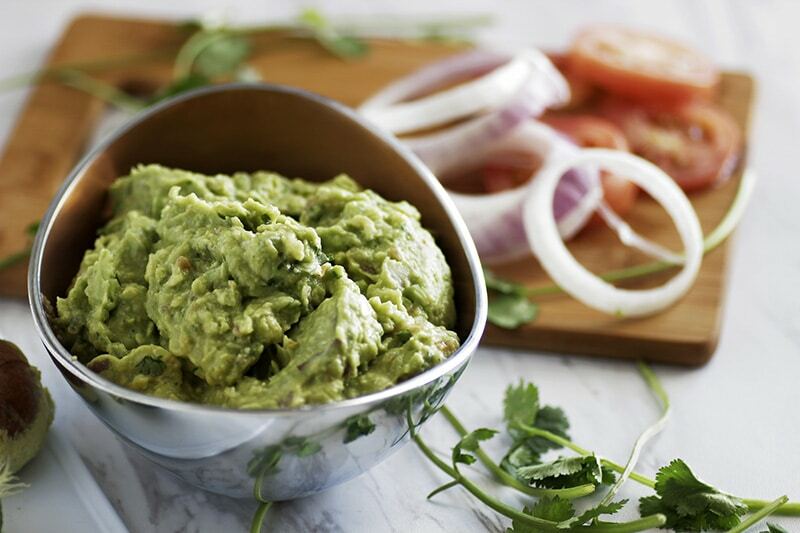 What is used to make Guacamole? And do you know what that means? It means that you can make this in under 15 minutes. So no matter what kinda taco, taco salad, or fiesta you are throwing together for Taco Tuesday, this needs to be a part of it. 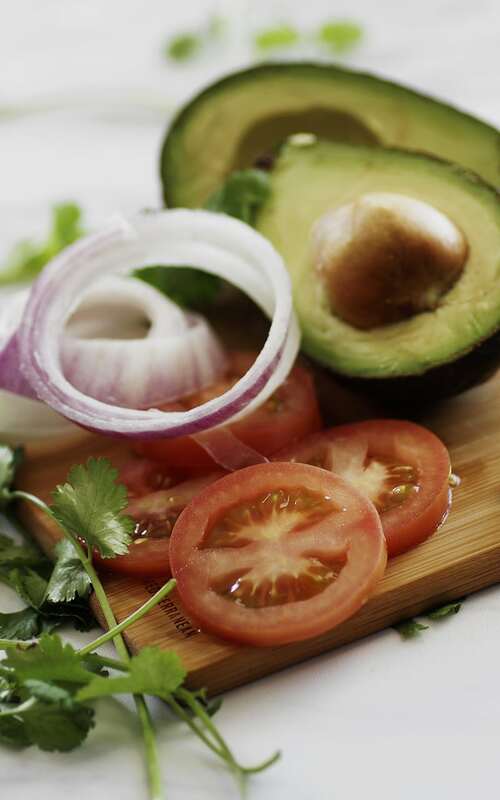 Two things help you determine if an avocado is ripe. A bright green avocado is not ready yet. I had to learn this the hard way. If you go to buy an avocado the day you need to use it, you want it darker in color. 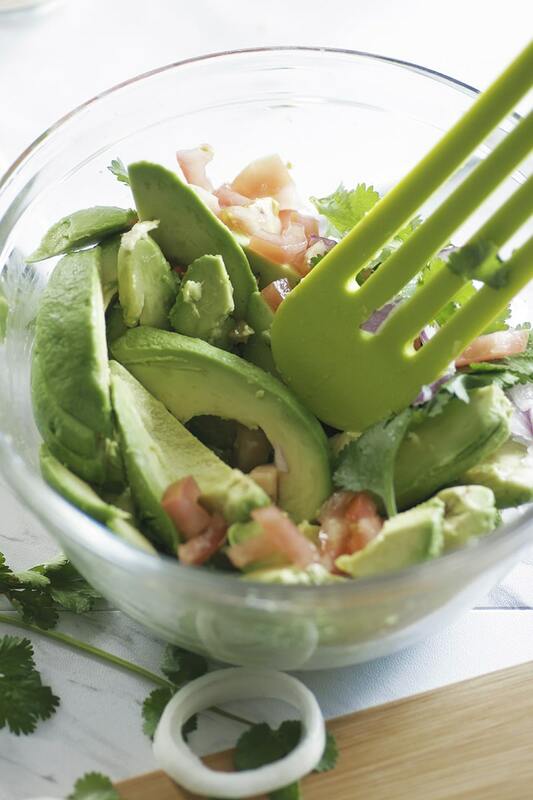 Avocado turns a brownish-green color when they are ready and ripe. 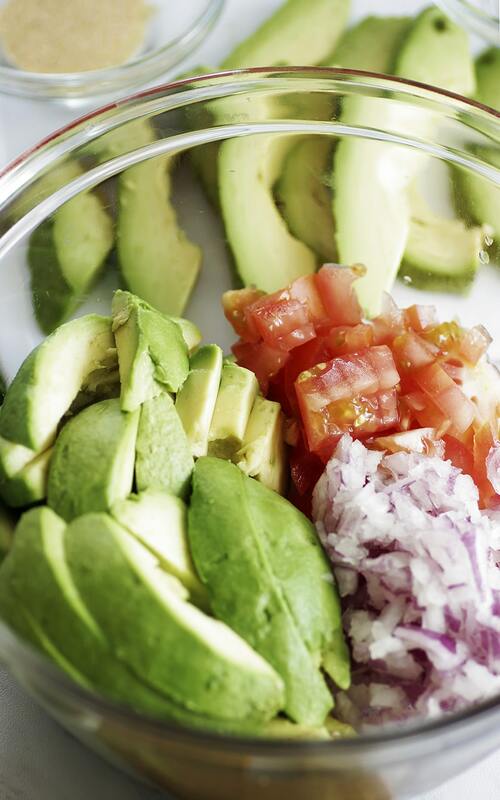 In addition to the color, if you squeeze the avocado lightly and it yields to gentle pressure, it is indeed ready! 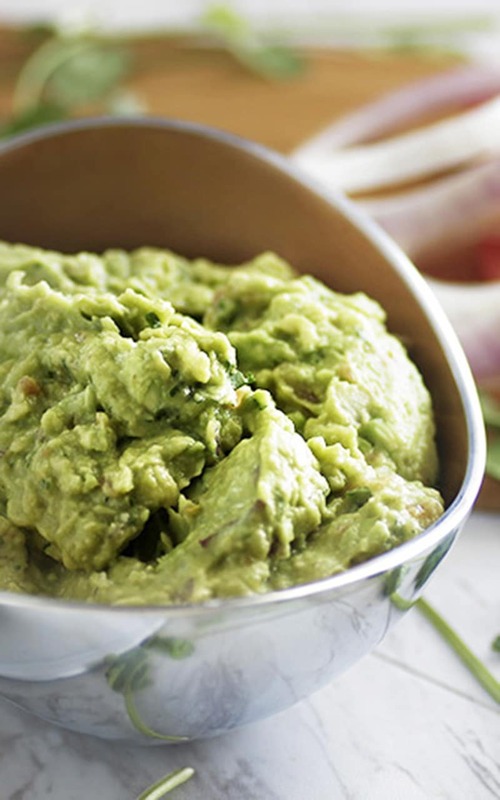 To make this simple & easy guacamole start by peeling, pitting and cutting your avocados. And then put them in the bowl. Using fresh cilantro, remove cilantro leaves from stems. Now you could use cilantro you find in the seasoning section if that is all you have, but that fresh cilantro is gonna be well worth it! Add it to your bowl. Then peel and chop the red onion. Red onion doesn’t take much, so roughly a one-third of a medium-sized onion. Put that in the bowl as well. Then dice your tomato. I use one whole medium tomato. Put that in the bowl. Now add the magic! Seasonings – garlic and salt. Top off with a squeeze of the juice of the lime over the mixture. Mash together using a potato masher or pulse using a food processor until the desired level of smoothness versus chunkiness is achieved. Now go eat tacos and be merry! Remove cilantro leaves from stems. Measure ¼ cup. Put in bowl. Peel and chop red onion (roughly half of a medium sized onion). Put in bowl. Dice tomato (roughly one whole tomato). Place in bowl. Add seasonings - garlic and salt. 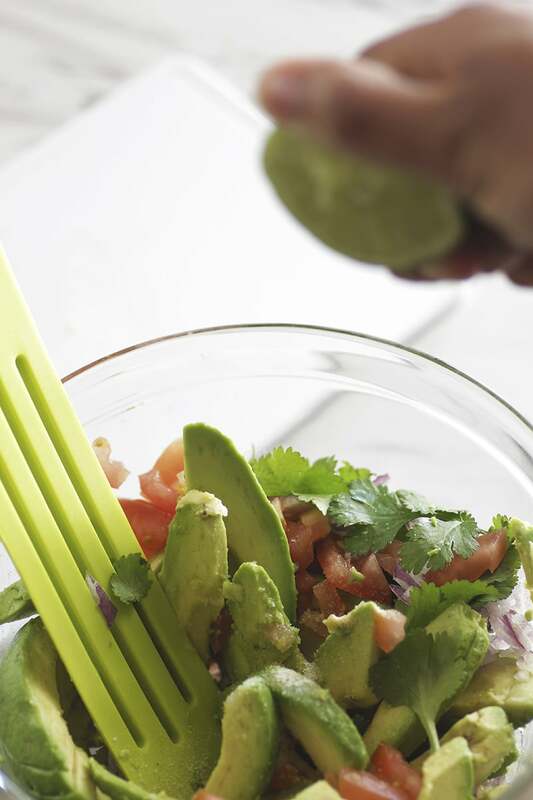 Squeeze the juice of the lime over the mixture. Mash together using a potato masher or pulse using a food processor until desired level of smoothness versus chunkiness is achieved. 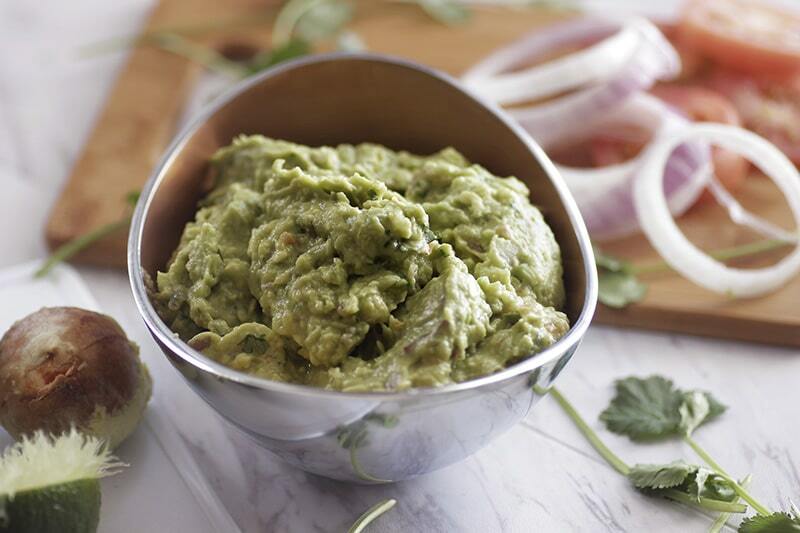 Interested in making this Simple & Easy Guacamole for later? Pin it now!